We are very sad to announce that we have lost a dear friend and valued colleague. 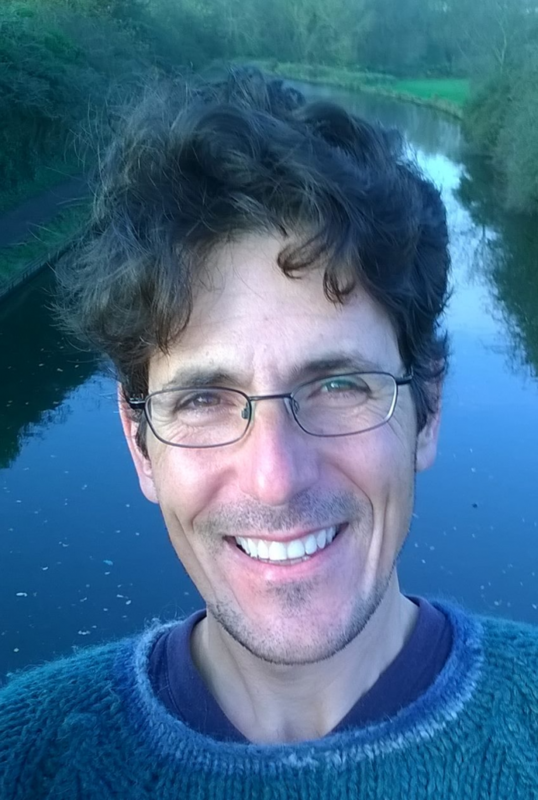 Pedro Mireles died suddenly and unexpectedly on Tuesday 15thJanuary at home in Italy. Our grief and confusion at this time are little compared to what Pedro’s family must be feeling. Our hearts go out to them at this unbelievably sad time. Those of you who met Pedro will remember his unwavering dedication to ensuring our clients had the very best experience they could possibly have – going the extra mile doesn’t even cover it. He was warm, funny, utterly selfless and a complete gentleman. He was never without a smile. Should you wish to share your memories of Pedro, please feel free to do so below. Despite us not having much information at this time, we are mindful that you may wish to speak to someone here in the office about Pedro and as always, we are at the end of the phone. We have also set up a collection for the family so that those who choose can show their respects in this way. Please follow this link should you wish to. Pedro leaves behind his partner and young daughter. Pedro was an exceptional guide and a wonderful human being. He leaves behind a huge hole in the Marmot family and the world is without doubt less bright without him here. It is hard to put into words how much we will miss him. 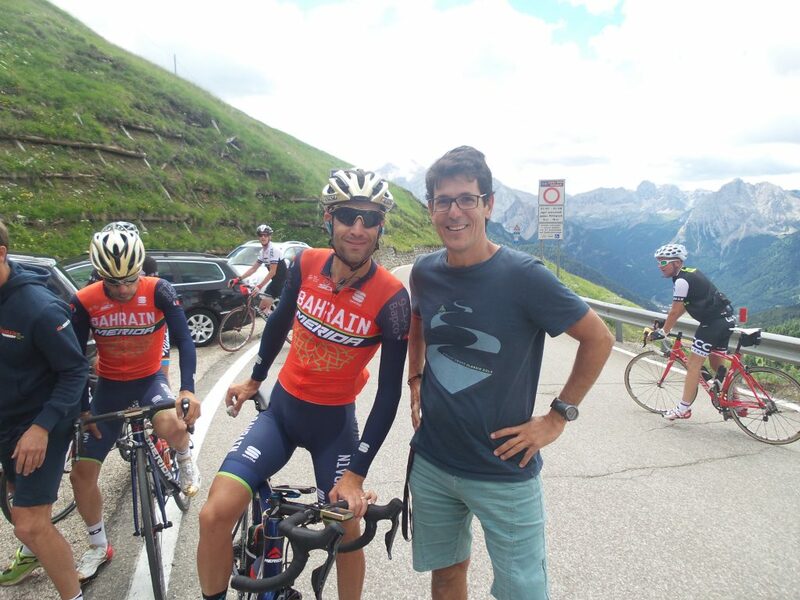 Pedro posing with Nibali on a Marmot trip in the Dolomites. Pedro as he always was – smiling, happy and full of joy. 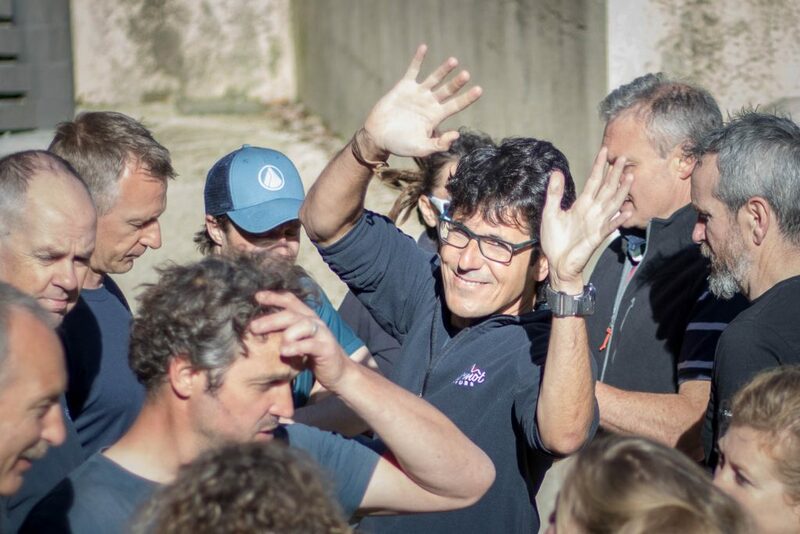 Pedro at the centre of attention at our staff training event in Malaucene, Provence in 2018. Pedro and team at the summit of Ventoux in 2018. Pedro going the extra mile by rolling up his sleeves in the hotel kitchen. Cant see the comments box? Click here. Every now and then you come across a shining star, one that brightens up your life and makes you understand the world is a wonderful place. In the short time I met you Pedro you made on indelible mark on me. Wherever you may be, ride well , smile bright and every time I ride up a “ cheeky little climb “ I will do it with you in my heart. I started working with Marmot Tours in 2015 at the same time as Pedro. We shared a room in Pech in the Pyrenees on that first Marmot training weekend and since then I have had the pleasure of working with Pedro probably more than any other guide. Working with him was always great fun and he was someone you could depend upon and have a great laugh with. He was passionate about his work and was a genuine people person who, even on the toughest days, woke with a smile and couldn’t wait to start the day. I will miss him very much and my thoughts go out to his family and especially his young daughter whom he spoke of everyday. I am so saddened to hear this news. I have been in two trips with marmot tours and i was lucky enough to have Pedro as my guide in both. One of the nicest guys i have ever met. Always there to accommodate or needs, with his infectious smile finding solutions to all problems, encourages to keep us going on our adventures. He will be missed. My thoughts and condolences to his family at this difficult time. What an absolute shock, Pedro was real gem. Full of unwavering enthusiasm, cared about everyone one on the trips. What a star, he will be sorely missed. One of the most wonderful human beings it was my pleasure to know and work with. My thoughts go out to Alicia and the family. RIP my friend. 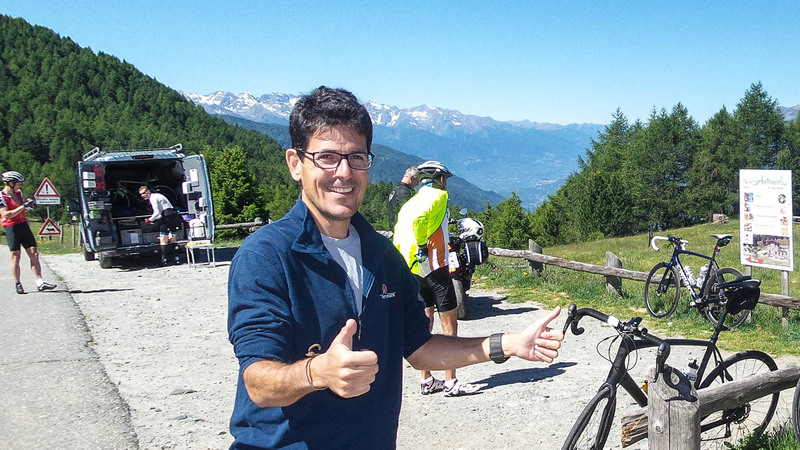 I met Pedro on the Classic Cols of the Dolomites tour in September 2018 and he was wonderful. I have never come across such a gentle and kind person, and he was lovely to be with. I am so shocked to hear about his death and it is such a loss of a beautiful human being. I cannot believe he will not be around to lead us again on a cycle trip. I am so sorry to hear this dreadful news. I met Pedro in Gran Canaria where I was the only non cycling person accompanying my husband. Pedro was so careful to make sure I felt included and although I am sure it was a pain having me to think about he was always so friendly and lovely and we had some fabulous times in the support van. A bright shining light that has gone from the world far too soon. My condolences to his family and all at Marmot Tours. The world lost a truly special being. he was probably the reason my wife and i repeatedly came back to Marmot tours. such a friendly and loving face he was! You will be missed dearly Pedro. May you rest in peace! Just read this in the email and I’m in absolute shock. Even by the high standards of the Marmot family Pedro stands out as one of the warmest, kindest and most wonderful people. I’m struggling to know what to say and I think that is because words cannot do him justice. I only met Pedro on one trip (Sardinia Oct 2017) but we were firm friends within minutes. His ever-present smile was infectious at every stop (with the exception of whenever he was looking at the weather forecast for the next day!) and he had a love of life and an interest in the world that made every conversation a joy. He even tolerated my appalling Spanish attempts with good humour. RIP Pedro, you will be missed greatly. A true man with passion and smile. He made our team having a wondering trip in Dolomities Mountains. RIP. I met Pedro in Sardinia in 2017, what a truly exceptional, kind and generous man he was. He will be missed. The world will be poorer for him not being around. RIP Pedro… much love to his family. Such sad news. I did 3 trips with Pedro. He was a great guide and so selfless – always wanted to help in any way he could. At the end of a trip with Pedro you really felt you’d made a new friend. Still can’t believe it. My thoughts go out to his family at this sad time. It is rare to find someone so universally admired. That is the measure of this man. He was indeed an inspiration and his death is very shocking. My condolences go to his Partner and child. This must be dreadful for them. This is terrible news. I met Pedro when he was the guide on my Dolomites trip in 2018. I made a speech at the end of the trip and said that Pedro and the other 2 guides offered wonderful support and were more like friends to us than guide leaders. He was warm, professional, always helpful, cheerful and a great person to be around. He is a big loss to the Marmot family and my heart goes out to his family and friends. What a sad and awful loss. Went on two trips with Pedro. As all the other comments say, he was unfailingly charming and kind. Terrible for his family, and also for everyone at Marmot. I’m so shocked and saddened to hear of Pedro’s passing. Many have already said, but a truly wonderful individual: kind, considerate, clever and funny. I had, I thought, the misfortune to be unwell during the Raid Sardinia last year but ended up spending the day in the van with Pedro and his company was such that it ended up a great day. Deepest condolences to his family and you his colleagues, I’m mindful of how difficult this will be for you all. I had the absolute delight of having Pedro as my guide on the Raid Sardinia in 2017. He was truly terrific and after that trip I remember telling everyone just how wonderful Pedro was. I was excited to learn that he would be my guide again next week in Gran Canaria. Such a shock, I will miss him dearly. I am so sad for the lost to the Marmot Team, his wife, daughter and family and my thoughts are with them all. What sad news. I had the pleasure of meeting Pedro twice in 2016 – first on the Classic Cols of the Dolomites and then the Raid Sardinia. He was a great guy to have around and remained completely professional, even with the most challenging situations. RIP Pedro – you’ll be sorely missed. Pedro is the best bike guide I have ever had. He had sunshine emanating from his smile every day. He exuded positive energy, enthusiasm for everything and made everything seem fun and exciting. I loved seeing him cruising by in the van with the loyal Marmot buckled in beside him. I was hoping to request him for our summer bike tour in France. I cannot comprehend the sadness that his friends and family must be enduring. He will NEVER be forgotten for his zest for life, relentless love of cycling, the natural world and people from everywhere. We will miss you immensely but you will be on our shoulder as we pedal along the roads of life. Thank you for making my cycling experiences so memorable with Marmot. What a shock. This guy was really special. Met him on the Classic Cols of the Dolomites in 2016 and Sardinia in 2017. Nothing was too much trouble. He really was one of the most remarkable human beings I have ever met. Kind, resourceful, helpful, funny, knowledgeable – I can’t believe he’s gone. Such a loss. I simply cannot imagine how his family must be feeling. RIP Pedro. Such sad news. I have fond memories of Pedro on two Marmot trios..the laat one in September 2018. He waited patiently for me at the top of Mortirolo…we had a great chat atbthe top and was so glad to see him when I got to the top and saw the van. Conolences to his family. So sad and shocked to hear this news. Pedro looked after me when I had my accident on the second day of the 2017 Sardinia Raid. interpreting for me with the Italian-speaking-only doctors and nurses, then arranging a friend to collect me from the hospital and take me to that nights hotel – no taxis or public transport available. I spent the rest of the trip in the support vans, well entertained by Pedro and Alan. I always felt well looked after and a part of the trip, and will always remember Pedro’s kindness and cheerfulness. I can only express how sorry I am that I will not have a chance to do another Raid under his great guidance, and my thoughts are with his family, colleagues and friend. I echo the true and special qualities in Pedro. He will always be a shining star in my heart about what is possible as a human being. On my tour he shared deep, intellectual and philosophical conversations about his love for his family, his concerns about the future of Spain and the EU, about what was happening to society as we navigated the changes from the last 30 years. He was incredibly joyful about each day and the experiences of each day with all of the people he so lovingly and respectfully interacted with. His care ethic was an inspiration to each of us regarding small choices as well as large. I painfully remember that is backpack had been robbed just before our tour as he was taking photos of the Marmot riders, and i was so impressed by his patience and thoughtfulness about replacing his documents and technology lost as he navigated so much red tape was also an inspiration.vhe even demonstrated compassion toward his robbers. I can only imagine how his family, friends, and the Marmot guides that worked with him are now hurting, and am sending all my support and love. His passing is a tremendous loss and beacon to each of us to step up our kindness and joy towards all that we encounter. Such sad news. What a loss that seems so unfair for somebody so young and vibrant. Pedro was the epitome of the perfect Marmot guide and gentleman. Nothing was too much trouble for him, always smiling, encouraging and generally fun to be with. He will be sadly missed. I am gutted so I am sure his Marmot fellow guides will be devasted. My condolences to his family. Very very sad news. Pedro was our guide on the first of the Dolomites trips and his warmth, humour and enthusiasm really added to the week. I only knew him for a week and he made such a wonderful impression I can only guess what his loss must mean to his colleagues, friends and family. He will be sorely missed. Such incredibly sad news. My heart goes out to Pedro’s partner and daughter. Words cannot express the sadness that all of us, anyone else who’s life touched Pedro’s are feeling. I met Pedro on a Dolomites tour in 2017, and was so looking forward to meeting him again in Cran Canaria. Such a lovely and genuine person and wonderful guide: vibrant, positive, full of humour, curious and intelligent, dependable…and the list goes on. What a great loss. I can only echo the wonderful tributes that I have just read above. My first trip with Pedro was Picos de Europa my last was Tenerife last year. I had the pleasure of being driven back to the airport by Pedro. I will always remember the wonderful conversation we had about Spanish politics and the autonomous regions. He was so knowledgeable and unbiased. Maybe we should remember him by adding his name to the Tenerife trip title:’ The Pedro Merleles Classic Cols of Tenerife’. May he rest in peace and may all those who knew him better than I did be consoled by the consensus that he was one of the great guys in this world. One of the kindest human beings you could meet. 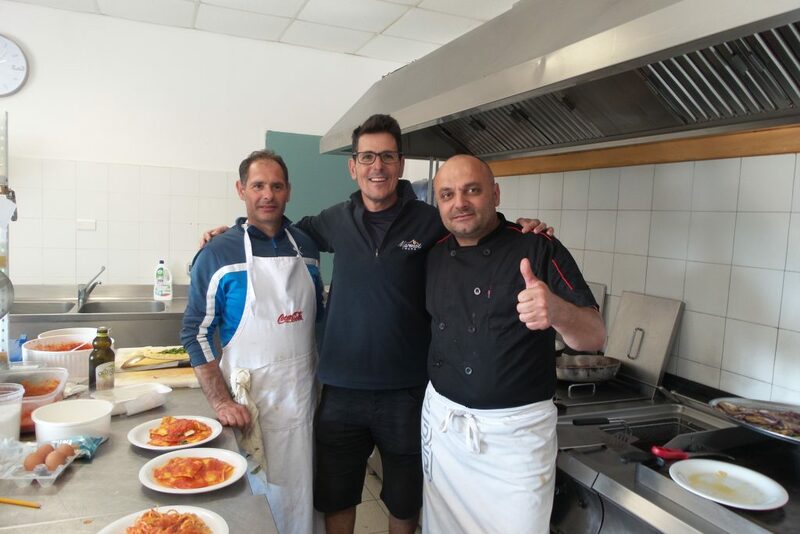 Echoing the words of previous Posts, we had the pleasure of Pedro’s company in Sardinia and he truly did make that trip. Such a caring nature and absolutely nothing too much trouble. The world is a poorer place without the like of a personality like Pedro. A thorough professional who worked with a smile on his face at all times. It was a privilege to have him lead our Dolomite trip last year. Terrible news. Such sad news and our thoughts are with Pedro’s family. He was a real star and contributed so much to the enjoyment of our holiday. So interested in everyone, caring and knowledgeable. He will be greatly missed. So sad to hear the news. I met Pedro when he started work at Air France. He was always a happy and positive guy. He was a great person to have z chat with. I and all the people at Air France who met him feel a big loss. Rest in Peace Pedro. I was in the Dolomites last year with Pedro and Tim. I had a lovely chat just with Pedro, stopped and talked about his family in Gran Canaria. He was a super guide and cared for his clients. He discovered the amazing climb Torri di Fraele. I was looking forward to seeing him again on another trip. Sadly I will not. Love to his family and to all at Marmot. I had the pleasure to have Pedro as a guide on a Dolomites trip a few years ago. Afterwards, he gave me a ride to Bergamo with another person on the tour. He went out of his way to take me to the train station where I needed to go after the airport drop off. A really nice guy through and through. My sincere condolences to his family, friends and colleagues. Pedro was the Marmot guide on three of my trips. Each of them was great fun and truly memorable, especially because of Pedro. He was at all times conscientious, professional, thorough and very mindful of everyone’s individual requirements and requests. He was good humoured, knowledgeable and passionate about cycling, his roots, the places where he had lived and worked and his family. His contribution to the enjoyment of each of the trips was immense. I feel very privileged to have enjoyed the company of such a dedicated, witty, intelligent and inspirational person. My sincere condolences to his wife, daughter and family. In life you are occasionally privileged to meet exceptional people of great warmth and humanity. Pedro was one of these. I am shocked at this news and would like to offer condolences to his partner and daughter, and to everyone at Marmot who worked closely with him and who will be feeling his loss acutely. Rest in peace, Pedro. This is the most terrible news. I too knew Pedro from our Dolomites trip last summer, he was simply one of the most charming men I’ve ever met. Calm and reserved a lovely funny man who just wanted to help everyone and did so with with such grace. I was very much hoping to see him again this summer, and if I who only knew him for a few days feel his loss, it must devastating for Marmot and his family, my thoughts are with you. I was shocked and extremely saddened to hear this dreadful news. We had the pleasure of Pedro’s company on many a Marmot trip – he was lovely, kind and completely selfless – always smiling, always enthusiastic, always helping. Our best wishes to Pedro’s family at an extremely difficult time. Pedro was an inspiration to all who met him. Kind,thoughtful and a fantastic photographer! Most of the snaps on our Dolomites trip were taken by Pedro selflessly lying on the road as we swanned past. Huge hole in the world with no Pedro. Our love and thoughts to his family and the Marmot family. RIP buddy. I’m shocked by this dreadful news. I met Pedro in the Dolomites in September 2018. The world has lost a very fine delightful man. My condolence to his family and the Marmot team. Absolutely awful news, very sad indeed. He was a fantastic guide, really went out of his way to help with anything you needed on a trip. I can’t imagine how his family are feeling right now, my condolences to them and all his colleagues at Marmot. Pedro was a truly wonderful person, one of life’s absolute gems. I was driving home from work today thinking about our trip to Corsica in June and wondering who the guides would be, and thought of Pedro, hoping that he would be there to make another Marmot holiday a great one again . To come home and read this news is just devastating. I am now looking through my photos from the Dolomites & Sardinia for pictures of him; his character, smile, and kindness come through in all of them and were a massive factor in making those trips so brilliant. I can only imagine the shock and pain that his family and the entire team at Marmot must feel right now. Grace and I were deeply saddened hearing the news and cannot imagine how much his loss will be felt by his family and Marmot. A truly wonderful person and our privilege to have met him and spent time together in the Picos and Dolomites. I remember him being so excited and passionate in the lead up to the launch of Tenerife. Our thoughts are with his family. Pedro …sad that you will not be with us anymore. You were a very good, intelligent, always positive person to have around in the team at Air France. RIP and protect your family from where you are now. Shocking news. He was such a gentleman and dedicated to the welfare and enjoyment of all of us. Our thoughts and best wishes are with his family at this awful time for them. He will be sadly missed by everyone who knew him. I had the pleasure of Pedro’s company in the Dolomites & Stelvio National Park in the Summer of 2018. A super guide, an inspiring leader, an exceptional man, he will be missed. My thoughts are with his family and his Marmot family at this sad time. Well done to whoever took that rather special photo of Pedro in Malaucene – I think his family will cherish that. Very sad news indeed. To think I was on one of the trips he guided in the Dolomites only 4 months ago makes this shocking and hard to comprehend. A fantastic guide and one of the most genuine people I have ever met, a true gent. Sincere condolences and thoughts to his family and friends. Very sad. Pedro was very kind individual with a big heart, highest possible level of efficiency and great charisma. He seemed to have friends everywhere and made many new friends on the go with ease. He will be missed. My thoughts are with his family. Such Tragic news. Pedro was my guide in 2016 & 17 in the Dolomites. He was always so helpful & happy in all that he did. My deepest sympathies to all his family & friends. Lovely bloke, what a shock and a tragedy. I met him on a Gran Canaria trip when the weather was atrocious and he couldn’t have been more helpful, cheery and diligent in keeping all the guests happy and cycling. We are both shocked to hear this terrible news. We met Pedro on the Dolomites trip last summer and he was a fantastic guide/advisor. He was always cheerful and had a great sense of humour joining in with our group banter on more than one occasion. Our condolences to his immediate and Marmot families. Such were Pedro’s amazing qualities, that I assumed he must be having an exceptional week when he was our guide at the Dolomites in Sept 2018. He was funny, happy, energetic, polite, constantly smiling, but above all else kind and thoughtful. It was a pleasure to know you Pedro and the next time a climb ramps up to a near 20%, it will another “cheeky little” one to tick off my list. So, whilst you were having an exceptional week when I met you, it appears from other comments here, that you had 51 other similar weeks in the year. So very sad. I met Pedro on the first Dolomites Classic Cols holiday and he was one of the reasons I have signed up to a Gran Canaria trip in March this year. He was such a nice person. A terrible loss. My thoughts go out to his family. A beautiful human – he really got the bike/freedom thing….. Such awful news. I keep very fond memories of Pedro from a Dolomites trip a few years ago. Pedro was kind, selfless and patient beyond a point when lesser mortals might have despaired; nothing fazed him. He was a lovely person. My thoughts are with his family and colleagues. Pedro, you will be so missed. I met you at Air France and I remembered you were kind, resourceful, so very helpful and unbelievable great with everyone, funny and always smiling. That smile! .. I am lost for words.. My condolences to the whole family during this hard time. Very sad news! ! I feel honored to have met you. RIP my friend. What a terrible tragic shame, I only shared a few days cycling with Pedro as guide and it was instantly obvious what a lovely, unassuming, charming man he was. Such a warm smile put you at ease and so helpful. His family Marmot and the rest of the world are now tragically worse off. RIP. Terrible news. We cycled through Sardinia with Pedro in May 2018 and his knowledge, patience and commitment made the trip so much more enjoyable and rewarding. My thoughts and prayers are with his family and condolences to all at Marmot. I will never forget his smile and enthusiasm. A great loss to all that knew him. If there’s any strange comfort to be found in having been the witness to my friend’s death, then it is knowing I was the last person who had the privilege of experiencing his exceptionally kind and loving nature. I may blame myself for not having been able to do more, powerless and far away as I was on the other end of the telephone line, but, in a weird way, I also feel lucky to be the last person to hear his voice. It is a strange feeling to know that someone I loved like a brother was also dearly loved by so many others. And how rare it is for someone to create the same impression of goodness and joy and inspire the same admiration in so many people, even in people who knew him only briefly. …But Pedro was such a person. He did not choose to leave us great works or heroic deeds. As in a kind of priesthood, he made a conscious choice to live his life without luxuries, sometimes without even the most basic comforts. He chose to seek neither praise nor recognition. He was looking for something of far greater value, something much simpler, something he had probably lost somewhere along life’s path… but in fact he left us something much more admirable… because nothing is greater and more heroic than goodness, nothing more human than the smile of those who devote themselves wholeheartedly to others as Pedro did. Thank you, Pedro, and see you soon. And thank you all for your nice comments. On behalf of Al Benvenuto Hotel in Tolmezzo we would like to express our condolences on the loss of dearest Pedro to his family and friends. Over the years, Pedro came many times to our hotel, so we all knew him personally. He was well-loved among our staff, who were always happy to meet him. His positivity, kindness and generosity will truly be missed. A great loss to all who knew him.